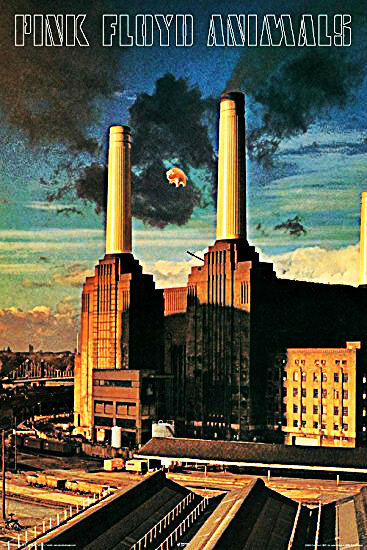 Did you know that Battersea was featured on the cover of Pink Floyd's Animals (1977), in the Beatles' film Help! (1975) and Alfred Hitchcock's Sabotage (1936), and in the BBC's Sherlock series and Dr Who? (Read Battering brickbats on Battersea). And why it's mischievous to say PNB and EPF to pay 1,000 times more for the Battersea project? Malaysians buying properties in London isn't something that raises eyebrows these days. Members of our royalty, politicians (including Opposition politicians), businessmen (including pro-Opposition ones), and even some top-end journalists (including, er, never mind) - own properties in and around London. But PNB-EPF's purchase of Battersea Power Station is making headlines at home and abroad because it is no ordinary deal. And for the right reasons, too! The deal, the largest property deal in the UK, is proof of the good state of the two Malaysian institutions and, more importantly, their bold investment approach. As PNB says, the deal is part of it's long term strategy of portfolio diversification and judicious expansion into global assets. As a contributor to both EPF and PNB, I am both proud and excited. The detractors are working overtime to create doubts and negative perception about the deal. But they would have to discredit not just the Malaysian players but also the UK authorities behind the deal, too. 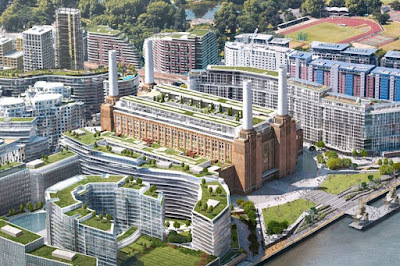 And if Apple is making the landmark Battersea its home (read Apple London HQ will open at Battersea Power Station in 2021), who are they to say that Battersea is a poor choice for investment? We refer to media articles relating to the proposed reorganisation of ownership in the Battersea Power Station project, as announced separately by S P Setia and Sime Darby Property to Bursa Malaysia on 18 January 2018. The Employees Provident Fund (EPF) and Permodalan Nasional Berhad (PNB) confirm that both have signed a Heads of Terms (HoT) with Battersea Phase 2 Holding Company Limited to initiate preliminary negotiations to purchase commercial assets in Phase 2 of the Battersea Power Station development for an estimated total consideration of £1.608 billion (equivalent to approximately RM8.76 billion). The HoT is a non-binding agreement and its terms will be subject to further due diligence and negotiations. EPF is part of the consortium of developers, consisting of S P Setia and Sime Darby Property in the greater Battersea Power Station development which began in 2012, with the entire development spanning Phase 1 to Phase 7. The EPF directly owns 20% of the Battersea Power Station development and the reorganisation exercise will not affect EPF’s shareholdings in the existing overall development. PNB, on the other hand, holds majority stakes in S P Setia and Sime Darby Property which jointly own 80% equity in the Battersea Power Station development. Phase 1 of the project, which comprises largely residential units, is already completed with 100% take-up rate and has been successfully handed over to the residential buyers in the last quarter of 2017, whilst the residential component of Phase 2 is almost 100% taken up. The initial capital invested into the project by the consortium of developers has also been reinvested into developing subsequent phases. The EPF and PNB are now contemplating to acquire ownership in Phase 2 of the project – known as The Power Station building – which is the anchor project consisting mainly of retail and office spaces. The EPF and PNB view this as a strategic opportunity to secure ownership of a unique and iconic real estate asset in a global city, which will be able to deliver a sustainable income stream into the future to meet their respective income needs. Phase 2 of the project is expected to be completed by late 2020 and has also been pre-let to anchor tenants such as Apple, one of the world’s leading technology companies, for a 500,000 sq ft tenancy – in one of London’s largest ever office pre- lets. This bodes well for potential investors, as it is seen as a precursor to an exciting future for the Battersea Power Station development. The purchase price, which is still subject to further due diligence, has been structured based on a completed and tenanted basis, to provide attractive long term yield for the investors. In line with its diversification programme of recent years, the EPF has been actively expanding its real estate and infrastructure assets both domestically and overseas to deliver long-term sustainable income for the benefit of its members. The proposed transaction is also in line with PNB’s Strategic STRIVE-15 Plan which outlines a long term strategy of portfolio diversification and judicious expansion into global assets. The EPF and PNB wish to reiterate that the decision to explore the potential reorganisation of ownership was purely an investment consideration initiated by the BPS Board and management team, together with the EPF and PNB, and was undertaken independently without any government intervention. EPF and PNB are steadfast and committed to uphold the trust of the two institutions’ members and unit holders respectively, as well as the Malaysian public, and any inferences that investment decisions are made for any other reason than for the benefit of the people are completely false and malicious. Sorry, but the area around Battersea has many many unsold apartments. They bought at the top end but now that Chinese and overseas money is no longer easily flowing into London, this high priced properties will face difficulty in getting sold. Mahathir: A Solusi or the Problemo? Owh, so the Felda board knew all along?